Investment Promotion Agency will boost the municipality’s economy and attract new businesses. By July 2018 will be more than 300 rounds of business. With an eye to national and international investors who can help move the economy of the municipality, collaborating to generate employment and income, the City of Niterói signed a contract with Rio Negócios. The agreement creates the Nit Business Agency, with the purpose of attracting and facilitating the implantation of new companies in the city. Niterói is expected to attract investments that could range from R $ 80 million to R $ 300 million, generating around 1,000 direct jobs for each year of the agreement. A Dutch company is already studying the possibility of opening an office in the city. To meet the goal of connecting Niteroi with potential investors are scheduled 300 rounds of negotiations until 2018 and the receipt of 12 international delegations. In the coming months, the city will be presented by business experts, through interviews, to 42 industry leaders from around the world. The list also includes consulates, business strategists, investment banks and other strategic actions. With this action, the Municipality takes another step against the crisis, encouraging entrepreneurship and moving the local economy even more. “The agreement reinforces our strategies to attract new investments and is further proof that Niterói is going in the opposite direction of the crisis. 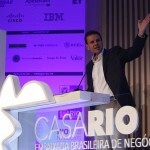 Nit Negócios will seek investors from the vocation of the municipality. A business management will expand the productive market to generate employment and income. “Said Rodrigo Neves, mayor of Niterói. 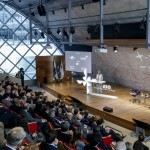 The new investment promotion agency will take advantage of Niterói’s potential in sectors such as: Energy, Naval, Tourism, Entertainment and Creative Industry, Information Technology and Scientific Innovation, Real Estate and Construction Industry, Call Center and Shared Services services to other companies). Nit Business will have a wide range of options to “sell” the city and will have a vast customer base, as well as closed business experience with around 7,000 companies from 30 countries. 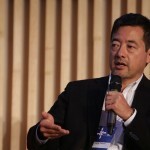 According to Marcelo Haddad, executive director of Rio Negócios and responsible for the management of the Niterói branch, the plan is to maintain in the city the same business case applied in the city of Rio for eight years, generating investments around R $ 4 billion and 21 thousand jobs. “In addition to using the client portfolio to attract new business, we have people focused on orienting and pointing the city’s options to these new investors and also on signaling new fronts for Niterói’s businessmen to expand their businesses. Having a channel of communication with local actors is critical to the decision-making process of any business. A survey conducted in the United States, for example, shows that 92% with directors of large companies would use the services of a local development agency to increase their investments, “Haddad said. Before even leaving for market offensive, the city could win an office of the Dutch company Dopper. The company’s idea is to partner with recyclable waste collectors’ cooperatives to collect pet bottles, which will be made into sustainable bottles for drinking water, with a focus on reducing plastic waste and encouraging the consumption of filtered water. “Niterói is a very interesting place for the connection and history with water and the sea and the projects focused on sustainability in the city and the public power involved with the issue. We have great interest in establishing ourselves in the city. In addition to the marketing of the bottle, we expect to generate income and local jobs, “explains the Dutch Ellen Sluis, one of the creators of the project. The agreement for the implementation of Nit Negócios is a partnership of the Departments of Finance and Economic Development, Naval Industry and Oil and Gas, with the endorsement of the Secretariat of Planning, Modernization of Management and Control. Achievement of an entrepreneurial profile in Niterói. The creation of Nit Negócios, according to the Secretary of Economic Development, Luiz Paulino Moreira Leite, is the consolidation of the entrepreneurial profile and the incentive to new businesses that the City has been developing in recent years. The city is already part of the Sebrae / RJ Entrepreneurial Cities Program to foster public development policies for small businesses, aimed at strengthening the local economy. He recalls that Niterói won this year an incentive to create the Polo Brewery, the Gastronomic Route of the Oceanic Region and works on the creation of the Fashion Polo. “The City of Niterói is investing in entrepreneurship through several fronts. New business means new jobs and collection for the municipality. The Nit Business will be critical. Other measures to encourage entrepreneurship have been implemented by the Municipality in recent years, with the fiscal pact, creation of e-Cities, projects of bureaucratization and the focus on administrative management, in addition to reducing the ISS rates by 2% for the Naval Industry; and 2% for insurance companies and healthcare companies and the Hotel Law to encourage the opening of new establishments, “said the secretary. The secretary points out that Niteroi created the Casa do Empreendedor (Entrepreneur’s House), which gives a differentiated treatment to the MEIs (Individual Microentrepreneurs), through the Quick Permit Scheme.